Last week, actress Kristie Alley had to clear her name. 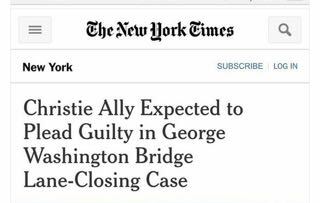 She trended due to a hastily read headline: "Christie Ally to Plead Guilty in New Jersey Bridge Scandal." The mixup points to the connection between speed and accuracy: One gets sacrificed to support the other. Why did some people make the Kristie Alley mistake while others didn't? Are some of us natural-born jack rabbits? Sure, we're all different. But scientists have shown that speed-accuracy tradeoff decisions are influenced by instruction, payoff, deadlines and other situational factors. Unless we've allowed habit to take over, we gage the right speed to jump into action the same way we adjust our speed when we drive a car. We judge the conditions that affect us in that moment. Why did the Kristie Alley mistake trend? In today's world, high-speed habits -- glancing, scanning, a quick-click send or retweet -- have taken over. We don't choose, we rush. What's the difference? Take a 1-minute typing test first for speed, then for accuracy. Notice what it's like to intentionally make the trade. With awareness, you can choose to speed up or slow down, to pay more attention to getting it done or to getting it right. As Wilt Chamberlain once observed, "They say that nobody is perfect. Then they tell you practice makes perfect. I wish they'd make up their minds." Make up your mind and consciously take charge of your speed-accuracy tradeoffs. Heitz, R. P. The speed-accuracy tradeoff: history, physiology, methodology, and behavior. Frontiers in Neuroscience: 11 June 2014 | http://dx.doi.org/10.3389/fnins.2014.00150 A recent comprehensive review article of the published research on spped-accuracy trade-off decision-making.